In 1931 Bourne's were one of 153 cheese makers in Cheshire. Today they are the only one left. 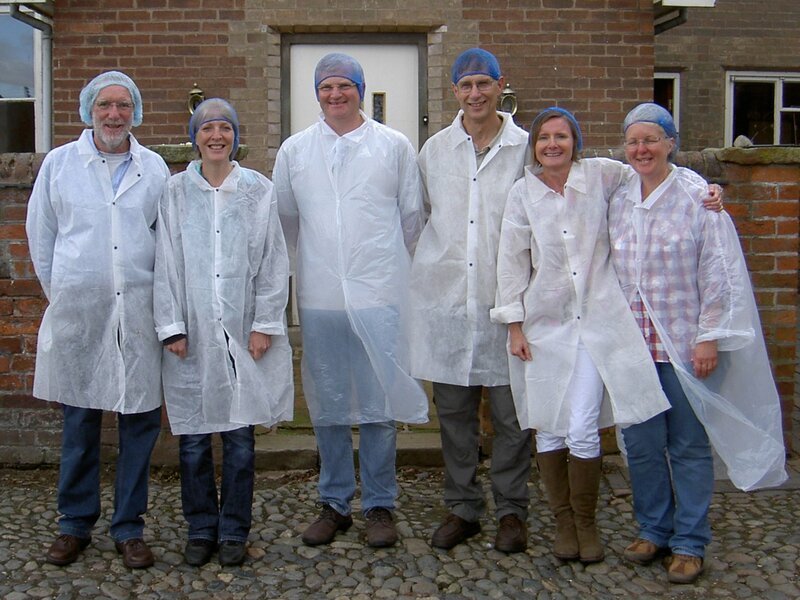 So we were very privileged to see the cheese making process here and have John Bourne himself explain it to us. 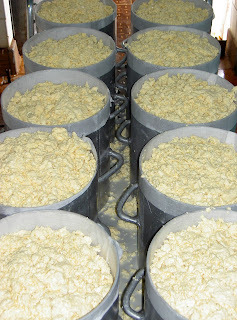 Above, you can see the curd being passed through a mincing machine prior to being poured into the cloth lined moulds, before being taken for pressing. 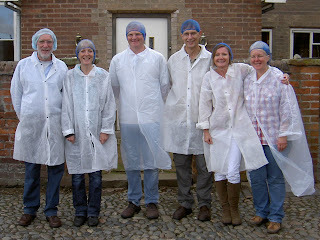 After the tour we were treated to a cheese tasting, which included their soft "Camembourne", Cheshire Blue, and a ginger cheese designed to complement Christmas cake. 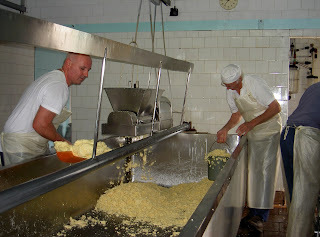 You can learn more about Bourne's and cheese making in general at their website, but note that it has not been updated for some time.